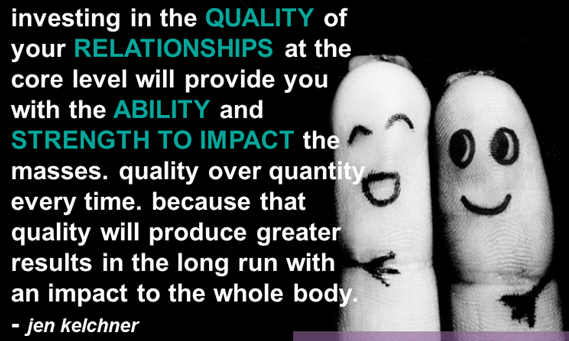 Humans need quality relationships. Typically, we think of a mate, companion or spouse when we think of relationships. 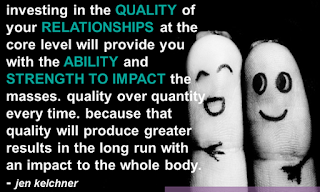 However, I believe it to be true that we need quality relationships in all areas of our life--a mate, our family, friends, teachers, mentors, etc. I believe there is someone out there for everyone. My purpose for this blog is to be someone for you; to fulfill an area of your life with a quality relationship. Perhaps, I can be a source of inspiration or an enlightened acquaintance. Regardless of the relationship "title" you give me, my intent is to contribute to living your life FORWARD. To live your life FORWARD, one can acknowledge and appreciate the past. However, the past is not allowed to overwhelm our present and future. Today and beyond is all that requires our concern. Now, I am not a trained mental health professional nor am I a writer. So why do I feel that it is important to share myself and my thoughts with you? Quite simply, I want to contribute to the growth in awareness of our inner selves. Coming from that awareness is the important action of taking care of ourselves. Something that I feel many of us do poorly; each of us in our own way, of course. The beginning of my focus on taking care of myself happened when life lost its flavor. Each day didn't feel important -- just wake up, go to work, take care of others, go to sleep and repeat. Pretty much, it was manifested in the desire to focus on others first, and for me to receive the leftover scraps of attention, love and care. I realized that the most important quality relationship in my life is with myself and that life is way too short to go through it on auto-pilot! With this realization, life became very unsatisfying. For a time, that was depressing I'll tell you. However, I'm a very self-aware person so it didn't stay this way for long. I realized that I had been waiting for others to take care of me and, no matter how long I waited or how much I tried to let them know what I needed, I wasn't getting it. Step by step, I developed a stronger sense of inner awareness. I began bringing myself up higher in the line of priority. First, I did this by just becoming more aware of it all. Then, by measurably changing, adding or subtracting whatever in my life did not align with this endeavor. Eventually, I began sharing who I have become with others, while still continuing to grow. Why Use Your Time to Read What I Write? If you believe that you are too-overwhelmed, too-tired, too-stressed, too-something to attend to the need of a quality relationship with yourself, then this is for you. If you didn't even know that you had an inner self, I would be glad to introduce it to you. If you are always willing to learn more than you know right this minute, I'll be here, posting on topics that focus on taking care of you and growing your inner awareness. By inviting you to come along, I plan to strengthen the inner awareness of us both. Are you ready to focus on Taking Care Of You? I know I am. Everybody needs a good friend. Its great to find one in you, Suzanne. I believe it's best to be a good friend. I liked your thought that you have developed a stronger sense of inner awareness. Hi Anamika, thanks for stopping by! Hi Suni, thanks for stopping by!